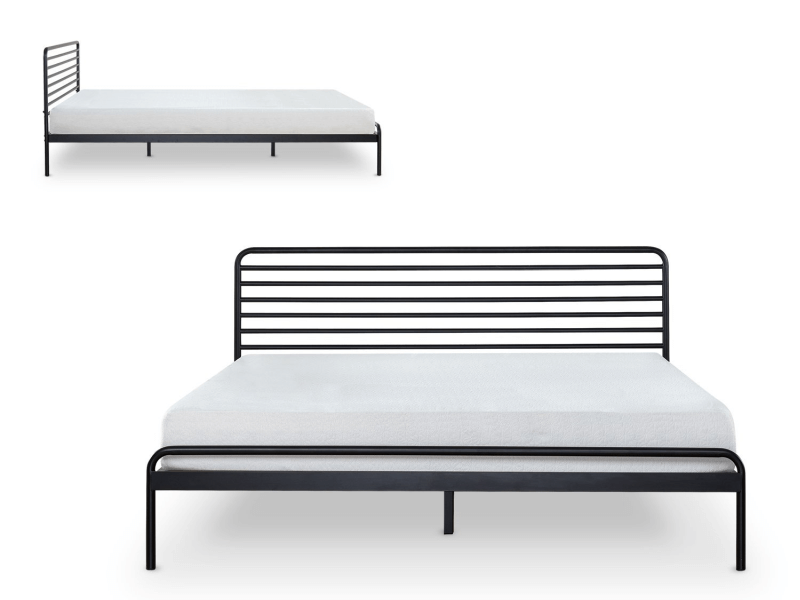 A Guide to Bed Bases, or: What’s the Point of a Box Spring? When you’re mattress shopping, you will often find that many—if not all—of them come with warranties. However, if you ever file a claim, most companies require proof that a mattress has been supported properly—usually by an appropriate box spring or bed base. This now brings up the questions: What is a box spring? What is the point of using it? Beyond satisfying warranty conditions, that is. Designed to be a shock absorber, a box spring is placed underneath a mattress and is said to reduce wear and help lengthen mattress life. As much as a mattress is meant to support sleeping bodies, a box spring is meant to support a mattress. Typically the same size as the mattress paired with it, a box spring also naturally raises the height of the mattress to a more comfortable level for getting in and out of bed easily. The term “box spring” is actually fairly explanatory, if you’re talking about traditional models from the 20th century; they were wooden box frames covered in cloth, with real springs inside, usually held in place by wire. These days, this is rarely the case. Mattresses have come a long way in terms of internal structural integrity. Though still commonly thought of as box springs—likely out of habit—most mattress supports are now actually just sturdy, mostly inflexible box foundations containing no springs and made out of either wood or metal. These new models can also come in different heights. They provide a modicum of support and do much to prevent sagging, but do function more as bed bases. If you’re using an innerspring mattress, a classic box spring will go well with it; as this mattress design is what it was made to support. For many newer designs, though—air, foam, gel or any of the many hybrid types—a modern box foundation is sufficient. You can choose to use the box spring as the base, or lay it over a bed frame. Some box springs can even be fitted with casters; that is, short legs that lift it slightly off the ground. Can an Old Box Spring Be Used with a New Mattress? The safe answer is no, especially when it comes to classic box springs that are likely past their usable lifetime. Like mattresses, box springs should be replaced every eight to 10 years; which means that if you bought your old mattress and box spring at the same time, you should be replacing them at the same time, too. It can be tempting to keep an old box spring, especially if it doesn’t show outer signs of wear, such as shape warping, cloth rips, and slats or coils poking through fabric—definitely replace if you see these—but like mattresses, they’re used constantly and the materials inside do break down and consequently make the product less effective. An old box spring may still hold up for some years underneath a new mattress, but you may also be inadvertently shortening the usable lifetime of that new purchase—canceling out any possible savings. What Other Structures Can Be Used Instead of a Box Spring? Whether you’re talking about a classic or a modern box spring—a box foundation or a divan, as it’s called in some countries—it’s still one of the most popular items to pair with a mattress. However, there are other options. Laying a mattress directly on the floor may not be aesthetically pleasing, but it really does give the mattress adequate support; especially if your mattress is of high quality. However, apart from support, there’s not much else that’s positive about this scenario. We recommend that you do this only as a last resort, and for as little time as possible. Even with a minimalist outlook, you’ll find that this setup will make it easier for dust and dirt to get on and into the mattress. This is not only unhealthy, but may also be grounds for voiding the mattress warranty. 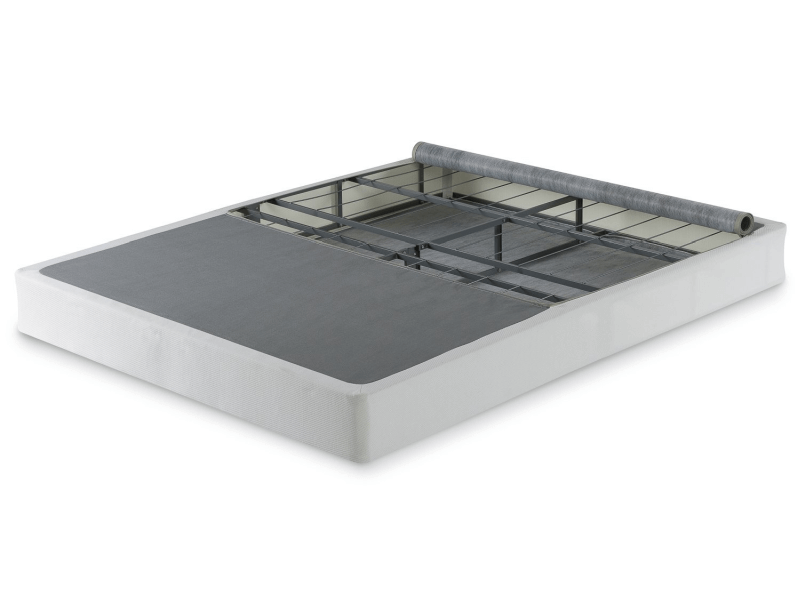 This is a bed base that is very popular due to the variety of options available. A platform bed is basically a sturdier bed frame that does not require a box spring, and its surface can either be solid or slatted; we recommend the former for heavier mattresses. In fact, platform beds with slatted surfaces may need additional support underneath if the slats are more than two inches apart. A platform bed can leave enough space underneath for storage; though some box foundations also provide this, it’s not as commonplace. It’s also much easier to look for a specific height and design that fits you and your bedroom’s decor. Who wouldn’t want a bed base that you can fit to your needs? An adjustable bed base is a platform bed supercharged—motors allows you to raise and lower different parts of the bed automatically, with just a remote control. Some even have extra features, such a massage option or USB inputs. Of course, all of these upgrades come at a price; while there are simple, affordable models, the best ones can cost even more than a high quality mattress. However, if you have health problems or are serious about your comfort, this is a great investment to make. Just make sure that your mattress is compatible with the bed base you choose. What’s the Best Choice for a Good Night’s Rest? Apart from just setting your mattress on the ground, every choice mentioned is one that is suitable for the long term. The best one for you comes down to three things: your mattress’ warranty conditions, your comfort and preferences, and your budget. First, check the fine print of the warranty or contact your mattress manufacturer. If there are strict conditions with no exceptions, you can either follow their recommendation or accept that your warranty is good as void if you don’t play by the rules. Next comes an assessment of your comfort level and preferences. How high do you want you bed to be? Do you want space underneath the bed or not? Also important to note here that classic box springs can change the feel of a mattress, potentially making your bed bouncier. Finally, there is the budget. Set a limit, and then go for it.